Do not freight, these roses' thorns are not venomous but their beauty sure is. The Poison rose is a true sight to behold; it has a stunning full star shaped bloom that will truly cause your guest to say whoa. 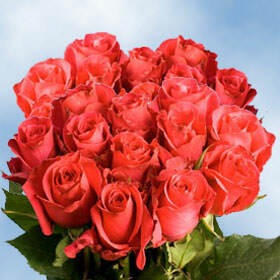 This rose is perfect for that special Valentine's Day Event because it not only conveys the traditional message of love but its unique Pink and Red Rose hue also says that your love for that person runs deep in your veins like poison. Great for wedding, birthday party, and any floral arrangements, it is a red bud after all and can play all of the traditional roles exceptionally well. We have some of the most advanced greenhouses in the industry and we also practice the most advanced environmentally friendly methodologies in the business. 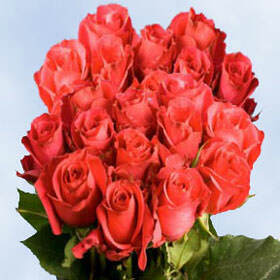 Your Pink and Red Rose varieties are grown with Nature in mind. Our facilities are open all year long due to our wise planning of building our greenhouses in some of Colombia's most pristine climate locales. We are able to provide our customers with all year round availability at wholesale prices and bulk ordering options, Global Rose can get you the Pink and Red Rose and how many you may need at unbeatable prices. We have partnered with FedEx to provide all of our customers with great shipping service and free delivery for all those who order within the mainland USA. Your shipment will be where you need it when you need it.